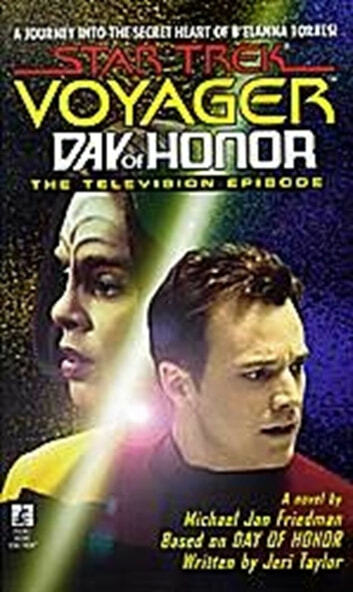 B'Elanna Torres has no intention of celebrating the Day of Honor. A day of glory for others of Klingon heritage, the day for Torres has always been a dark one, for reasons that stretch back to childhood memories she has tried to forget. This Day of Honor is no better. Trouble with the warp engines has crippled the U.S.S. Voyager just as it confronts a deadly threat. Torres and Tom Paris must put their lives on the line to restore the engines. With time running out, Torres has one last chance to accept the great loss she once suffered and reveal the true feelings she has buried for years.